suppliers staff uniform and branded corporate clothing. CorporateWear offers a large variety of impeccable business suits and office uniforms. Our suits and uniforms are not only professional, but flexible, trendy and modern.We use only the very best materials for your corporate attire, assuring maximum movability, comfort and breathability. CorporateWear operates on the philosophy of change. What clothes we choose to wear on each waking day can change the way we feel, the way we think, and even the way we interact with others.Uniform is a companies architecture. It symbolises who you are. It’s our job to help you maintain your brand values. This is why we offer our customers a simplistic, seamless means of ordering uniform, by ordering it through our client portal. However, for us be proficient in the above, this means we need to provide our customer with a rapid turnaround of uniform. It is this, that we are about. Corporate wear is a statement of a company’s presence, it states who you are and what you do. Corporate workwear for your company defines the essence of your business and that in itself naturally gives you a professional image. As clothing suppliers of corporate wear, it is Be Corporatewear’s job to provide just this. 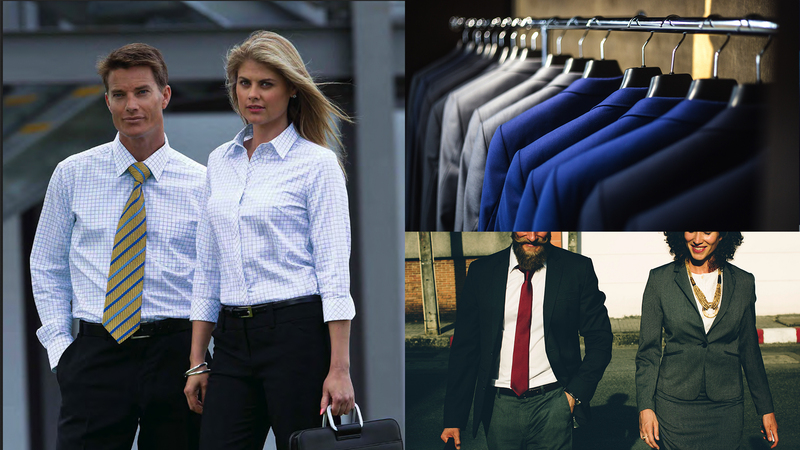 At Corporatewear, our job is to provide your company with a first class service as well as providing men’s and ladies corporate wear uniforms. We work closely with some of the most highly regarded and prestigious corporate suppliers in the corporate workwear market to help us help you create the image you require.As men’s and ladies uniform clothes are a big task to deal with, especially for larger companies whose core business is elsewhere, and can feel corporate workwear to be an unnecessary necessary regardless if it is mandatory or not. At Corporatewear , we offer more than just a product; we offer a whole management team to help you keep your staff looking as professional as your business. Creating a personalised T-shirt has never been easier than with our new t-shirt designer tool, allowing you to easily customise and create your own t-shirt in a matter of minutes. Whether you want to create a tee with a photo, a unique design or by adding text, it’s all possible. Whatever the occasion, Custom T-shirts are perfect when a plain boring printed T-shirt just won’t do.